Rule #1 About Your Goals: You Do Not Talk About Your Goals! So, imagine this. You spend your Saturday over at a friend’s apartment, where you sit on the couch all day eating pizza and marathoning Puella Magi Madoka Magica with Starship Troopers as a finale. Productivity-wise, the day is a complete waste – but it was fun and that’s all that matters. Awwww yeah dawg, I’m gonna get my entire networking assignment done today. Yeah. The whole thing. I’m just gonna lock myself in the bowels of the library and crank the sucker out. I’ll even throw in my management assignment. Man, I’m gonna be so productive. Whoa. Whoa now. Back up, Mr. Taco McSparkles, because you’ve just made a grave mistake. As it turns out, announcing your intention to do something actually decreases the likelihood that you’ll follow through and, you know, do it. You’d think that, wouldn’t you. I did. I think most people do. It seems like common sense to tell somebody about a goal you’re planning on meeting; doing so suddenly creates an external motivator (not letting down said person) which should help you stay motivated. Well, the first thing I see wrong with this assumption is, well, another assumption: you assume the other person actually gives a crap. In most cases, they don’t. Now, I’m not saying your friends and family don’t care about your goals and dreams, or that they won’t be supportive. I’m sure they do and they will. It’s just that most people are either too busy or too lazy to actually make you accountable. When’s the last time your buddy called you and asked how your diet was going? Even if they did that, did they come over and slap you in the face for eating that pizza? Probably not. However, that isn’t the reason you should keep your trap shut. The real reason is SCIENCE. Yup. Allow me to explainticate. Psychological researchers have been studying the intention-behavior gap, and the stuff that affects it, since the 1920’s. Basically, we as humans like to dream. A lot. We have tons and tons of dreams, goals, and fantasies. We are also (usually) smart enough to see the first steps we need to take in order to achieve these goals. Oftentimes the first step is right in front of us, whether it be a quick phone call or an application. There’s another thing about us humans, though; we seem to have trouble actually taking that first step. And the steps after that? Friggin’… FORGET IT! Those steps are taken even less frequently. That’s why those psychologists call it the intention-behavior gap. Peter Gollwitzer and some other researchers at NYU released a paper in 2009 entitled, “When Intentions Go Public: Does Social Reality Widen the Intention-Behavior Gap?” In this paper, they detail the findings of their research on the effects of announcing one’s goals on the intention-behavior gap. In the experiments they conducted, they asked a group of people to define a goal they’d like to achieve. For the experiment, they would be given 45 minutes to work on the goal. Here’s the play: half of the group announced their goals to the room, while the other half kept their traps shut. The results were pretty astounding. The group that didn’t say anything tended to work for the entire 45 minutes, and when asked about their progress, they said they had a lot more work to do until they were done. However, the group that announced their goal quit after only 33 minutes on average, and they tended to say they felt much closer to completing the goal. Bam. The proof is in the pudding. See, when you announce your goal to someone and they affirm it, you feel good. 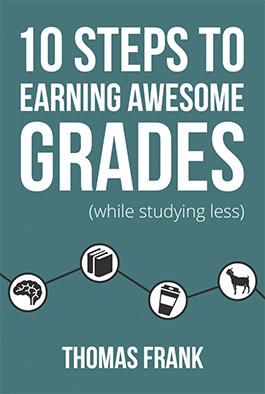 You feel like you’ve actually taken a step towards the goal. It gives you some satisfaction. This is called a social reality. The affirmation of your goal by people whose respect your desire actually makes you feel like you’ve somewhat achieved it, even though you haven’t done jack squat. So, for the most part, I’d recommend not announcing your goals to people. There are other ways of committing yourself to them. Create a progress notebook in Evernote. Design a desktop wallpaper that reminds you of your goal. Develop a legitimate habit of working on them so it’s automatic. If you really feel like you should tell someone your goal, I think you should ask them to commit to it with you. Obviously this doesn’t work for every goal, but it does work for things like healthy eating, exercise, and committing to wear silly hats every day. If you’re not going to do that, at least make sure the person you’re telling will actually hold you accountable. Alright. I hope you learned something. I did (that’s why I’m not telling you about the big goal I’m working on). Now go out there and work on your goal! 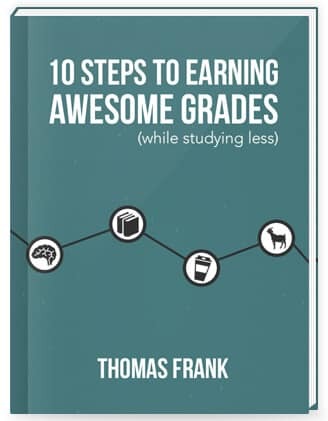 If you enjoyed this article, you’ll also enjoy my free 100+ page book called 10 Steps to Earning Awesome Grades (While Studying Less). Note: I wrote this article over four years ago, back when College Info Geek was read by approximately six people. I decided to make very few changes to the original text, even though the video script is different. So that’s why the writing tone is so different, in case you’re curious. When Intentions Go Public: Does Social Reality Widen the Intention-Behavior Gap? Have something to say? Discuss this episode in the community!